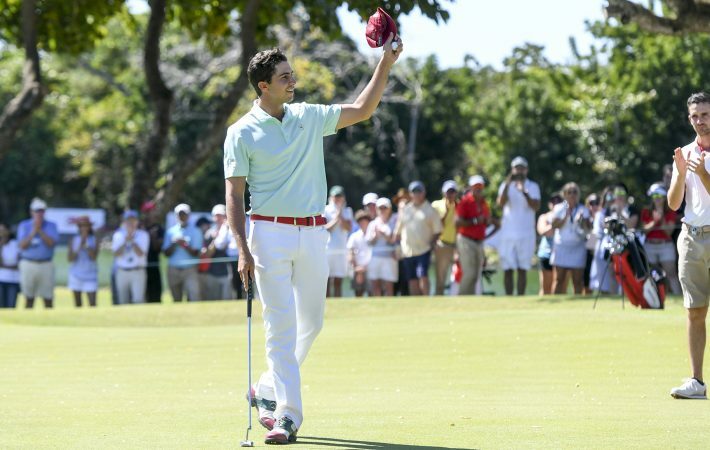 Mexico’s Alvaro Ortiz clinched the Latin America Amateur Championship (LAAC) in style today after a keenly contested duel with Luis Gagne of Costa Rica at the renowned Teeth of the Dog course at Casa de Campo. The two-time runner-up and one-time joint third-place finisher finally secured his dream victory with a 14-under-par total of 274, two shots clear of Gagne, who matched his closing round of 6-under-par 66. Next April, Ortiz will become only the second Mexican amateur to compete in the Masters Tournament (after Juan Antonio Estrada who played from 1962-64) and has secured places in the final stages of qualifying for The 148th Open at Royal Portrush and the 119th U.S. Open at Pebble Beach. He is also exempt for The Amateur Championship, the U.S. Amateur Championship and any other USGA amateur event for which he is eligible. The 23-year-old from Guadalajara got off to a strong start with a birdie at the opening hole and gained another at the 5th, but a costly bogey at the par-four 8th left him two behind a surging Gagne. 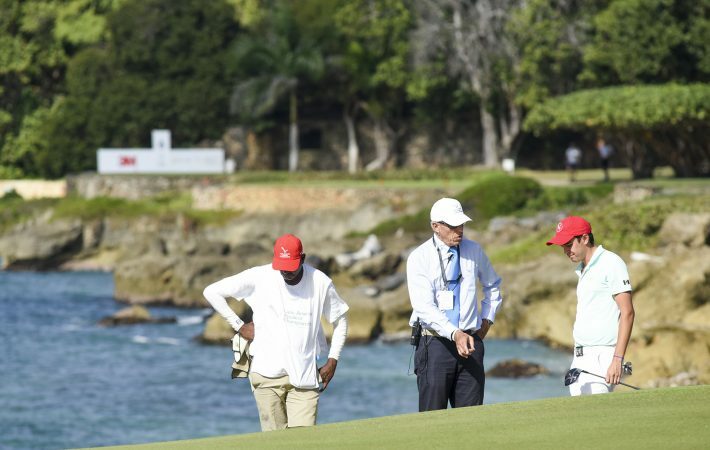 Ortiz, whose older brother Carlos plays on the PGA Tour, kept his cool, however, and overturned the deficit with a dramatic eagle three at the 12th and a birdie three at the next. 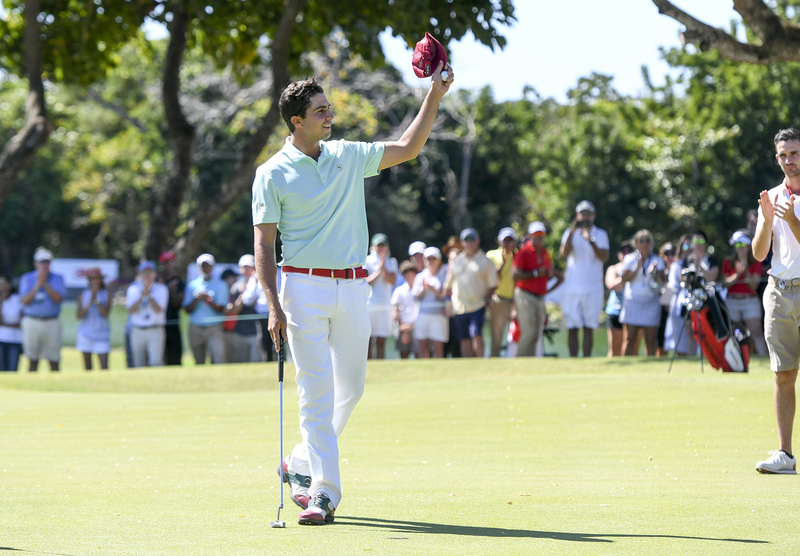 The 54-hole leader almost dramatically holed his approach shot at the 295-yard, par-four 17th and tapped in for another birdie to move two clear of the Costa Rican before closing out a fine victory with a birdie four at the closing hole. 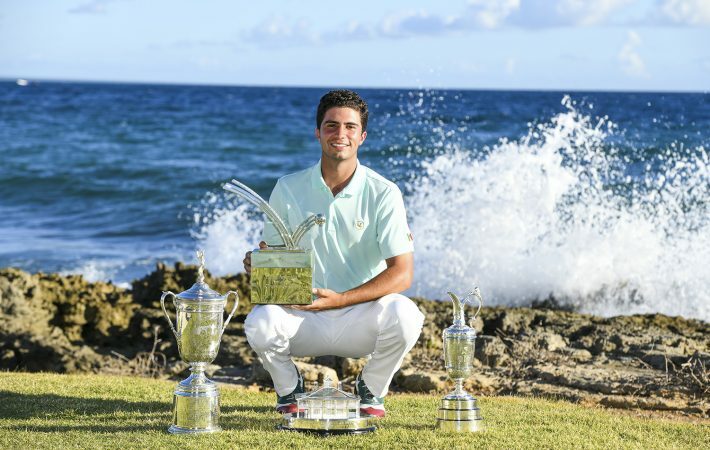 Ortiz was runner-up to Chile’s Joaquin Niemann at Prince of Wales Country Club in Chile last year and lost out in a playoff to another Chilean Toto Gana at Club de Golf de Panama in 2017. 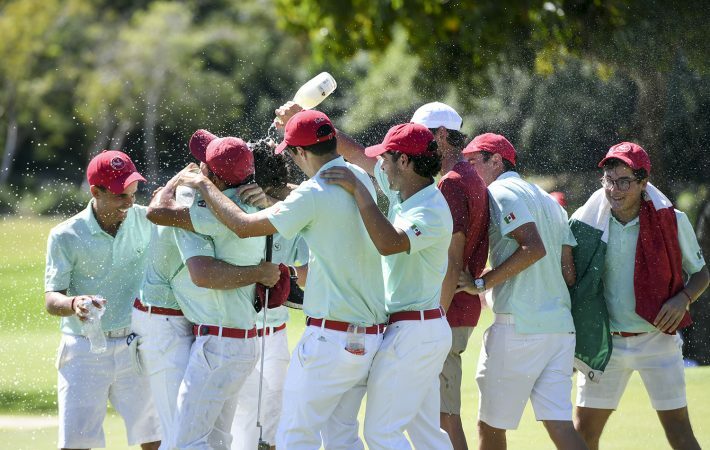 The University of Arkansas alumnus also finished tied for third at Pilar Golf in Argentina in 2015 and has held the lead after a round in the LAAC a record seven times. In his debut appearance in the championship, Gagne made his move with three consecutive birdies from the 3rd hole and reached 6-under-par for the day with another at the 14th but the 21-year-old slipped up at the par four 17th with his first bogey since the 8th hole, his 17th, in the second round. The LSU senior finished with a birdie four at the last but it was not enough to catch Ortiz. 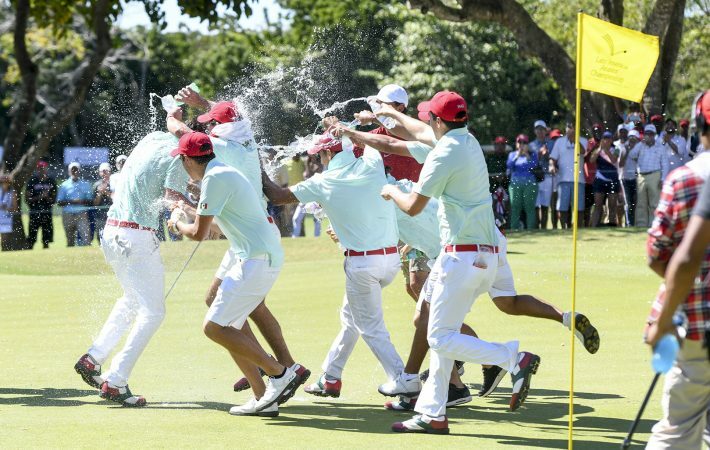 Luis Fernando Barco was bidding to become the first Peruvian to win the LAAC, but the 2018 Peruvian and Mexican Amateur champion’s 2-under round of 70 left him 9-under for the championship and in third position, five shots adrift of Ortiz. Gana made a final round charge with a 6-under-par round of 66 to finish 8-under for the championship. The junior at Division II Lynn University in Florida produced six birdies in a blemish-free final round to finish fourth. Brazil’s Andrey Borges Xavier also made a run with a 6-under round of 66 to move to 7-under overall. His compatriot Fred Biondi finished a shot further back alongside Venezuela’s Jorge Garcia. 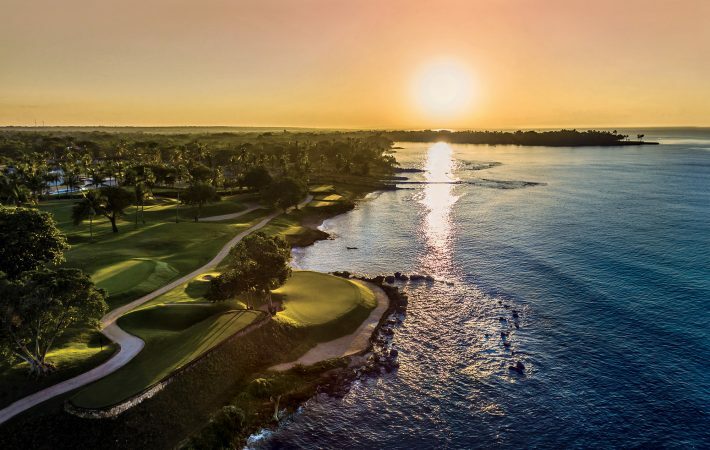 The 2020 Latin America Amateur Championship will be played at Mayakoba’s El Camaleón Golf Club on Mexico’s Riviera Maya from January 16-19. “Well, to be honest, I thought the wind was going to make it harder. It didn’t blow a lot the first two days. A funny thing, today was probably the hardest it was playing and I shot the best score I did in the week. But overall, I played through the week perfectly. I think the only day I struggled was the second day, but that’s when I think my short game came around. Luis Gagne (2019 LAAC runner-up), 21, Costa Rica: “I played really solid. The front nine, I was making a lot of putts and I got it to 4‑under through nine. I started off the back nine pretty good. I made a good save on 16, and then, you know, I knew I probably needed to birdie 17 or 18, or at least par 17. I made a wrong choice off the tee. I thought I hit a club that couldn’t get in the bunker and it went in the bunker, and then I had a 90‑yard wedge shot out of the bunker downwind, which isn’t the best shot. After that, I knew I basically needed to eagle 18 to have any chance, so I hit a good shot up there and missed a 40‑footer. Alvaro Ortiz’s 72-hole total of 274 is one shy of the tournament record of 273, set by Joaquin Niemann in Chile in 2018. His 6-under-par 66 is the second-best final round by a champion, three strokes away from 2018 champion Niemann’s 63. Ortiz has held the lead at the end of seven rounds in LAAC history. The history: 2015 – T3; 2016—DQ; 2017 – T2; 2018 – 2nd and 2019 – Champion. 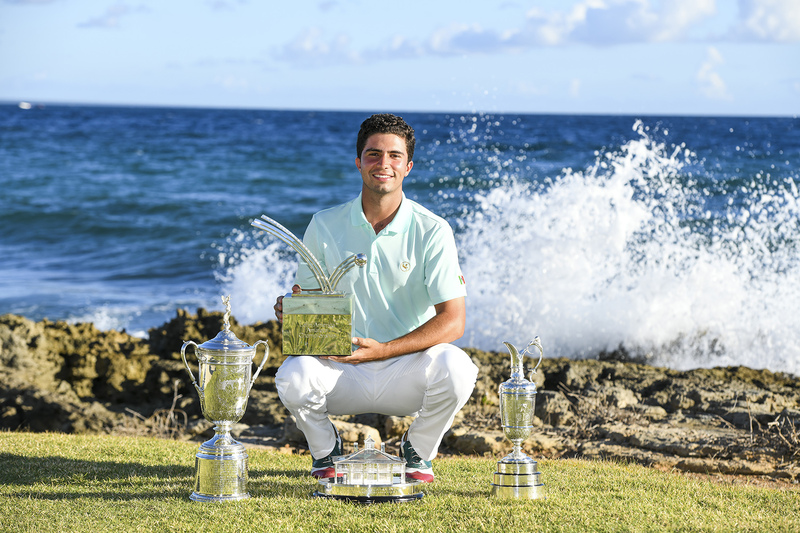 Runner-up Luis Gagne of Costa Rica, the co-low amateur at the 2018 U.S. Open, shot his country’s lowest score at the LAAC (6-under-66) in a valiant attempt to capture the championship. He played in his first LAAC, was the runner-up in last week’s South American Amateur and is ranked #37 in the World Amateur Golf Ranking. Mexico is the country with the most players in the top 10 (three): Champion Alvaro Ortiz and Aaron Terrazas and Jorge Villar (both T-9). 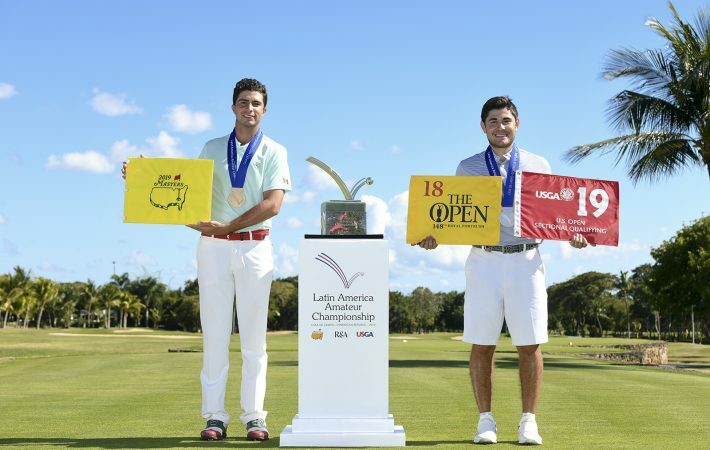 Luis Fernando Barco of Peru, with scores of 69-69-71-70, became the third player to post four subpar rounds in one championship, joining Alejandro Tosti of Argentina in 2015 and Alvaro Ortiz of Mexico in 2018. In 2019, he finished solo third, which is his country’s best finish in the LAAC. 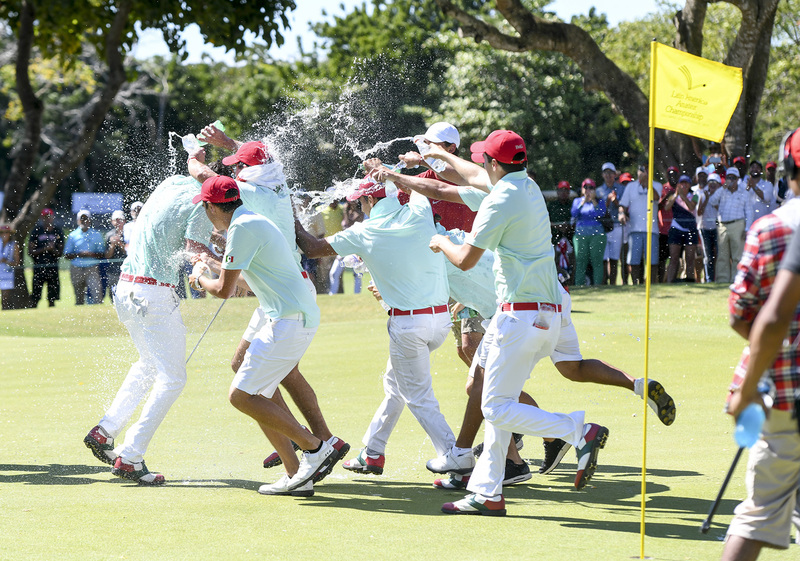 Barco, who holds the highest place (#24) of the 50 players in the field in the World Amateur Golf Ranking, was T-3 at the 2016 championship at Casa de Campo. With Ortiz’s victory there are now three countries represented on the list of champions, joining Chile (three) and Costa Rica (one). Chris Nido of Puerto Rico fired a 7-under-par 65 (eight birdies and one bogey) for the day’s lowest round and his country’s lowest score in LAAC history. 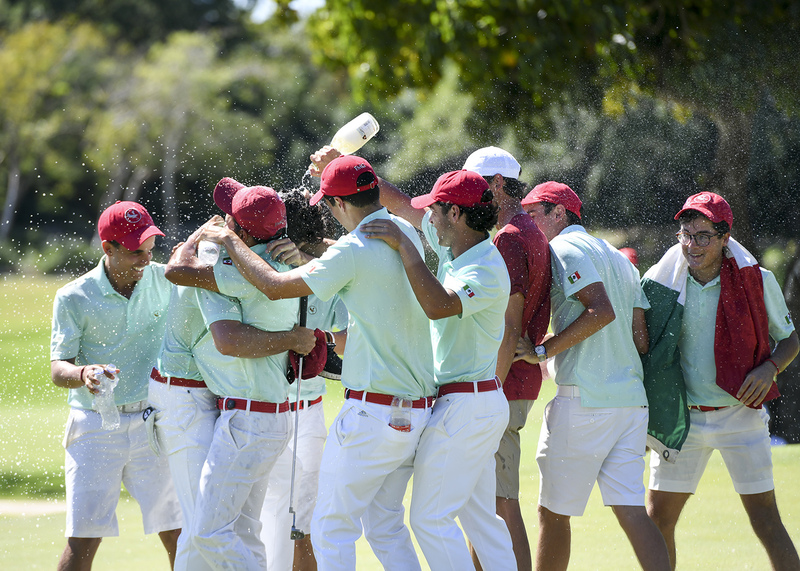 The eight birdies in one round is one off the tournament record of nine shared by Argentina’s Joaquin Bonjour in the second round in 2015 and Alejandro Tosti in the second round in 2016. Toto Gana, who won the title in 2017, shot a bogey-free 6-under-par 66 for a solo fourth-place finish. Fellow champion Paul Chaplet of Costa Rica (2016 at Casa de Campo) shot 76 to finish T-47. Juan Camilo Vesga of Colombia had the best turnaround (14 strokes) from Round 3 to Round 4, following his 83 yesterday with a 3-under 69 today. The 20 subpar scores in the fourth round surpassed the high of 18 in 2018. For the championship, a total of 79 subpar rounds were recorded, breaking the mark of 69 in 2015. A total of 19 eagles were recorded in four rounds, one shy of the LAAC record of 20 set in 2018.